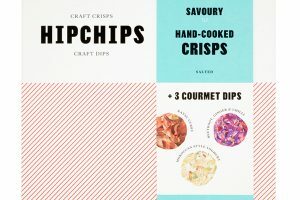 These are all the posts that have been tagged with bag. 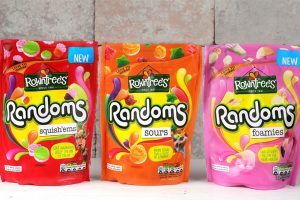 Brand new variants of Rowntree’s Randoms - Nestlé’s randomly shaped, fruit flavoured sweets - are being introduced to coincide with its tenth birthday and a major refresh of the Rowntree’s brand. 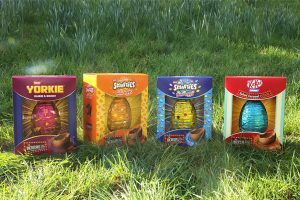 2019 sees Nestlé release its biggest ever Easter egg range which features newly developed eggs including a KitKat with Ruby chocolate Easter Egg and some ‘Incredible’ Eggs for KitKat, Smarties and Yorkie lovers. 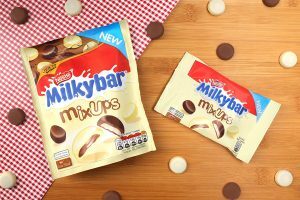 Nestlé introduces Milkybar Mix Ups, which mix white chocolate with milk chocolate for the very first time. 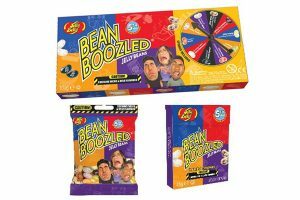 Jelly Belly Candy Company is debuting the 5th edition of the BeanBoozled Collection of jelly beans. 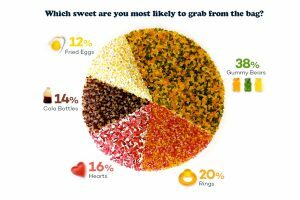 Magnet, the kitchen design specialist, has delved into a hundred bags of Haribo Starmix in a bid to find out which sweet you’re most likely to pick from your mix. 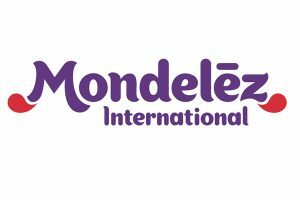 For Easter 2019, Mondelēz International is launching lots of exciting new experiences. 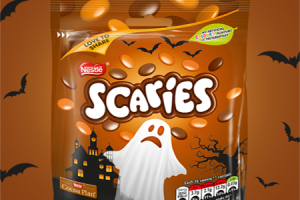 Nestlé UK is launching Scaries, a ‘spooky’ edition of Smarties, which will be hitting the shelves next week. 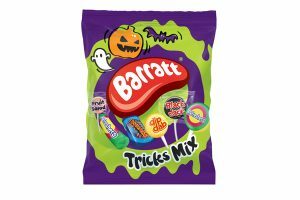 Tangerine Confectionery, the creator of the UK’s much-loved retro sweets, is launching Halloween confectionery to help stores hit consumers’ sweet spots. 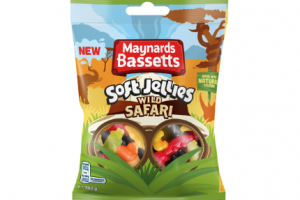 Maynards Bassetts is adding a new soft jelly product to its portfolio, said to drive young adults ‘wild’. 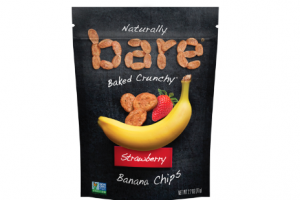 Bare Snacks has announced the launch of its new Strawberry Banana Chips. 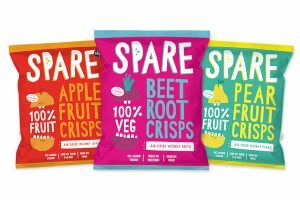 The new snack will join the brand’s existing profile of oil-free fruit and veggie chips. 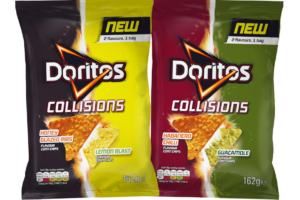 UK-based tortilla chip brand Doritos has launched its latest product range: Doritos Collisions. 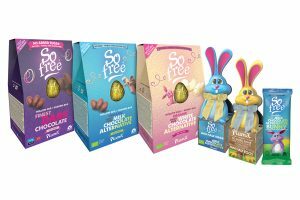 The new range is coming to the UK after its success in the US and Canada. 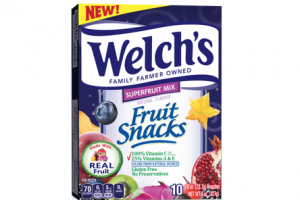 Snack aisles across the US are anticipating the roll-out of New Welch’s Superfruit Mix, an addition to the Welch’s Family of Fruit Snacks products. 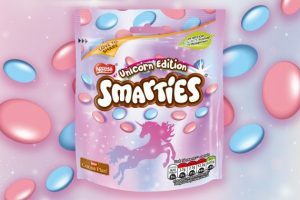 In response to the increasing popularity of unicorn-themed food and drink products, Nestlé UK has announced the launch of its new special edition Unicorn Smarties. 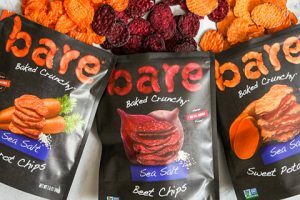 Bare Snacks has revealed its new line of crunchy veggie chips. 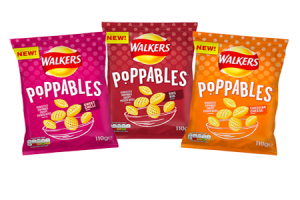 Walkers has announced the launch of its latest potato snack, Poppables. 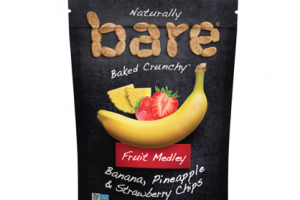 Bare Snacks has announced the launch of its newest product range: Bare Fruit Medley. 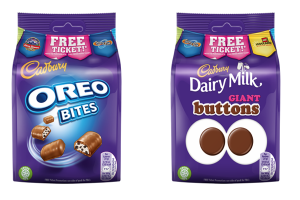 Cadbury and Merlin Entertainments’ partnership offering consumers free tickets for memorable days out this summer is set to continue for a third year.